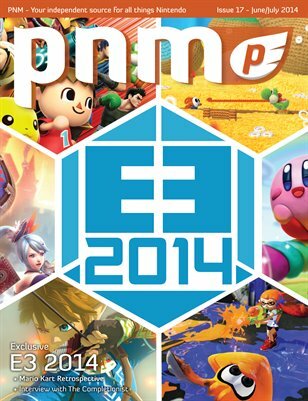 Welcome to our E3 2014 issue! In this issue, we do our best to cover the biggest show of the year and arguably Nintendo’s best E3 in years. We went hands-on with Hyrule Warriors at the show along with Kirby and the Rainbow Curse, Super Smash Bros. Wii U and 3DS, Yoshi’s Woolly World, Splatoon, Mario Maker, Captain Toad: Treasure Tracker, Mario Party 10 and much more! Be sure to check out all the previews for these exciting new titles as well as a taste of the new Legend of Zelda on Wii U. There’s a lot on the horizon both this year and next for Nintendo fans!